Metrorail will not open early for the Marine Corps Marathon (MCM) this year, and race officials say they're altering the courses of both the marathon and 10K to minimize transportation stress on runners. While Metro trains will run more frequently on marathon weekend, the system won't open until 7 a.m., Transportation Reporter Adam Tuss has confirmed. The race is scheduled to start at 7:45 a.m. for wheelchair users and handcyclists, and 7:55 a.m. for runners. MCM officials announced Wednesday that the start times will remain in place. However, this year, the marathon starting line will be kept open for 60 minutes, until 8:55 a.m. -- almost 40 minutes longer than in previous years. Mark Goldman, marketing manager for MCM, said officials believe that the majority of runners will still be able to make it to the site in time. In addition, the marathon course will have some changes. For example, runners will still have to "beat the bridge," or make it to a timed benchmark for leaving D.C. via the 14th Street Bridge. However, the landmark will occur two miles earlier in the course, Goldman said Wednesday. The new course will also reduce the time runners spend on Rock Creek Parkway by nearly two miles. To restore the lost mileage from Rock Creek Parkway, new course elements will be added in Arlington. The 14-minute mile pace requirement will remains in place for the marathon, but it will be based on the final runner crossing the start line at 8:55 a.m., Goldman said. In addition, the MCM10K will be routed entirely through Arlington. The new course maps are available on the MCM website. The MCM is listed at the sixth largest marathon in the United States, with 30,000 runners from all 50 states, D.C. and more than 50 countries from around the world. MCM said traditionally, Metro is the primary access for runners and spectators attending the event. But this year, Metro is undergoing an aggressive maintenance and rebuilding program known as SafeTrack. Metro has not yet revealed what lines or stations might be affected during the marathon weekend. Although SafeTrack dates were announced earlier this year, upcoming "safety surge" dates are going to be changed. 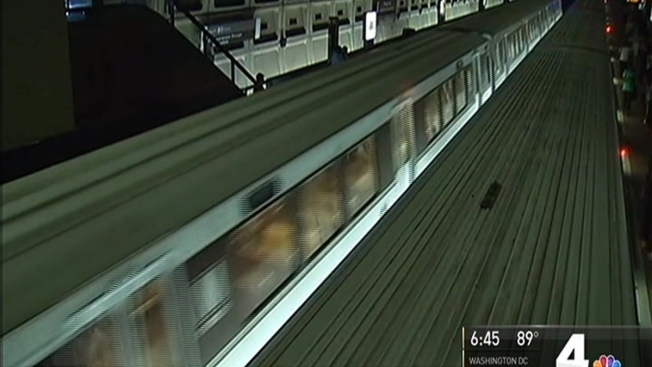 Metro officials now say they'll release a new schedule for upcoming work by mid-September. Metro will run eight-car trains on the Yellow Line throughout the day Oct. 28 and 29. On Oct. 30, additional eight-car trains will be assigned to the Yellow and Blue lines, with increased frequency of Yellow Line trains from 7 a.m. to 9 a.m. and increased frequency of Blue Line trains from 7 a.m. to 4:30 p.m.
"The MCM will contract expanded services with Metro for event day to include running eight-car trains on the Blue and Yellow lines, and increasing frequency...." Goldman said. "While these adjustments should prove helpful, runners are encouraged to minimize their dependency on Metro." Those using Metro, Metrobus or Arlington's ART bus are encouraged to purchase SmarTrip cards or replenish their SmarTrip fares ahead of time. Free parking for runners will be available at the intersection of 23rd Street and Crystal Drive in Arlington's Crystal City neighborhood. Runners-only shuttles will deliver runners to the runners' village, the queuing area for runners. The shuttles will run from 4:30 to 8 a.m.
Runners-only shuttles will also be available between 4:30 and 6:45 a.m. from Gaylord National Resort at National Harbor, Maryland. Spectator shuttles between National Harbor and the Eisenhower Avenue Metro station will begin running at 6:45 a.m., with return service through 5 p.m. Paid parking will be available at the Ronald Reagan Building & International Trade Building in D.C., with runners-only shuttles taking runners to the Pentagon between 4:30 and 7 a.m. Paid parking will also be available at the Ballston Common Mall. Arlington's ART service will open early, with additional buses traveling the 42 route from Ballston to Pentagon City from 5 to 9 p.m. The fare is $1.75 on a SmarTrip card. Paid parking will also be available within walking distance of the runners' village at the Pentagon City mall.